Rooms from $113.90 per night. Description This Thomasville, Georgia hotel has an outdoor pool, free internet access and non-smoking guest rooms. 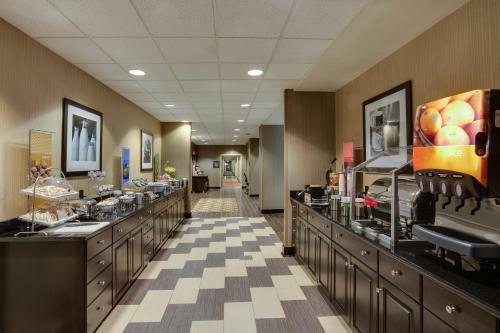 A sparkling pool abundant breakfast buffet and Wi-Fi access: they're all on the house at the Hampton Inn Thomasville. 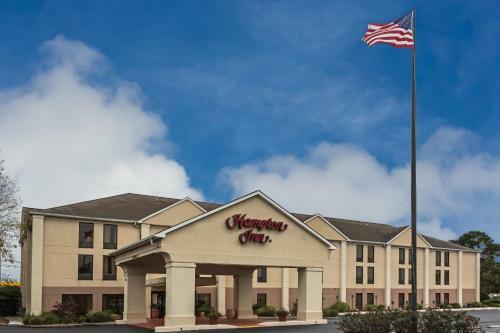 The three-story Hampton Inn has 67 rooms featuring pillowtop mattresses covered with crisp white linens. Free Wi-Fi and TVs with premium cable channels keep guests connected and entertained. When you have to send an email take your pick of a spacious work desk or handy lap desk. 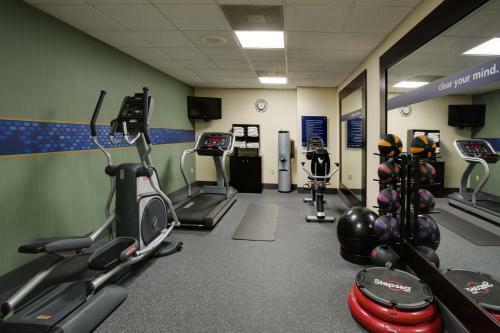 The fitness room keeps you on your cardio regimen while the seasonal outdoor pool and hot tub surrounded by a sunny terrace offer room to relax. The day starts with a buffet breakfast that always includes hot and hearty options like waffles pancakes or french toast sticks. If there's no time for a sit-down meal grab a to-go bag. Parking is free. The Big Oak a three-century-old tree that's the pride of Thomasville is three miles from the Hampton Inn. Also three miles away are the Thomas County Museum and the historic Lapham-Patterson House. If you want to practice your swing Country Oaks Golf Course is five miles northeast. Tallahassee Regional Airport is 46 miles southwest Northwest Florida Beaches International Airport is 143 miles southwest and Jacksonville International Airport is 173 miles southeast. 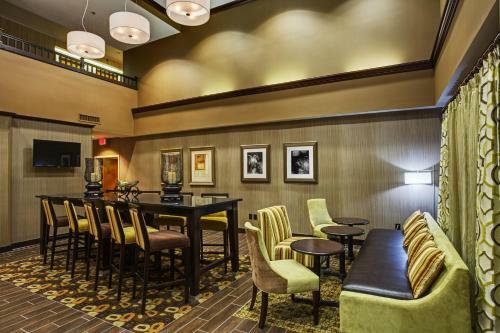 Add Hampton Inn Thomasville to your free online travel itinerary.